Item # 310379 Stash Points: 2,795 (?) This is the number of points you get in The Zumiez Stash for purchasing this item. Stash points are redeemable for exclusive rewards only available to Zumiez Stash members. To redeem your points check out the rewards catalog on thestash.zumiez.com. 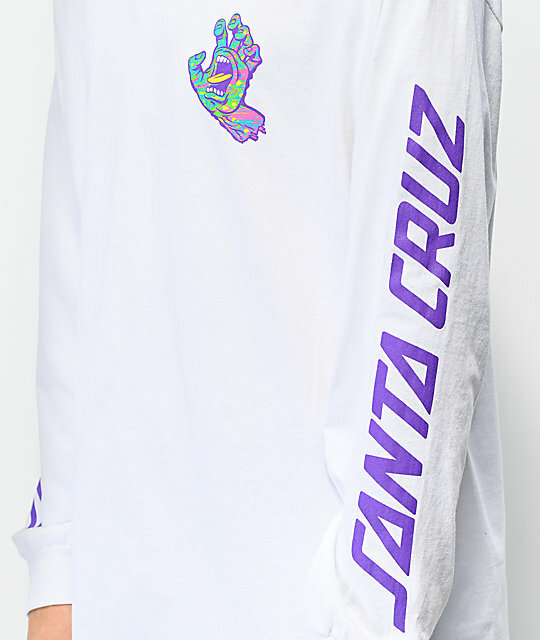 Add a little bit of color and iconic skate flair to your daily look with the Spill Hand shirt from Santa Cruz. 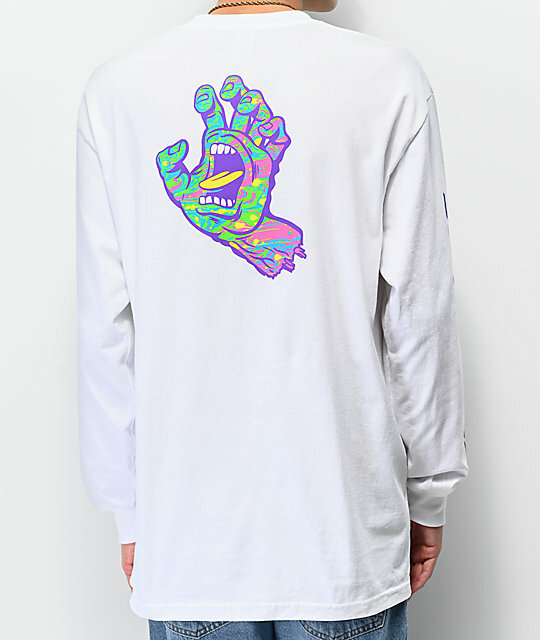 This all white, 100% cotton long sleeve shirt features a neon pink, blue, green and yellow Screaming Hand at the left chest and back. 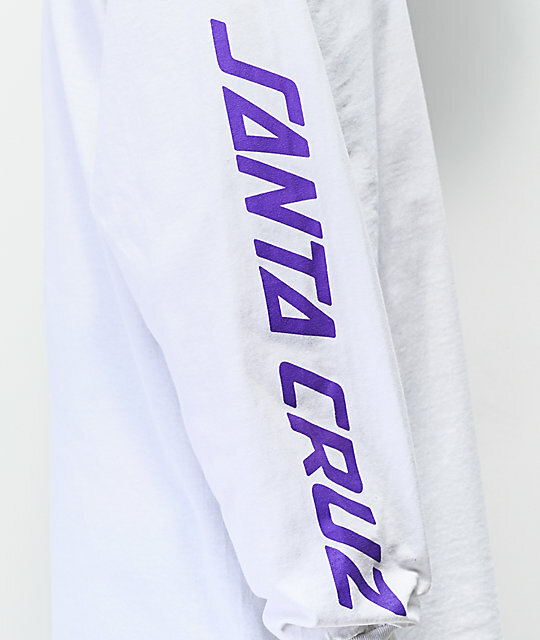 Each sleeve is then finished with bold, purple "Santa Cruz" text. 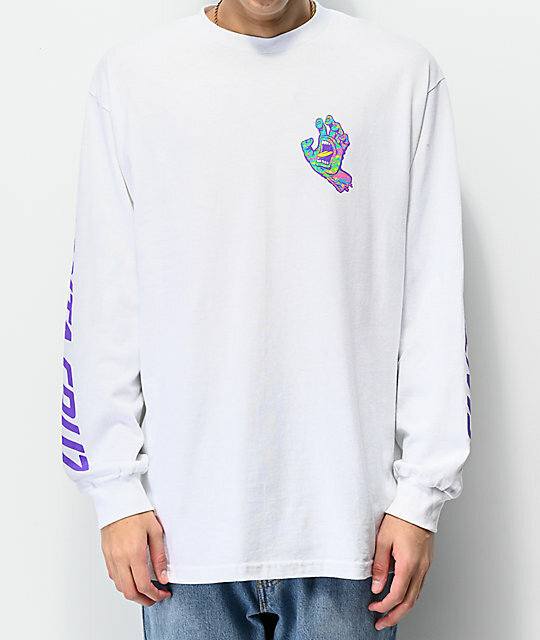 Spill Hand White Long Sleeve T-Shirt from Santa Cruz. Screen-printed logo graphics down both sleeves, on left chest and back.